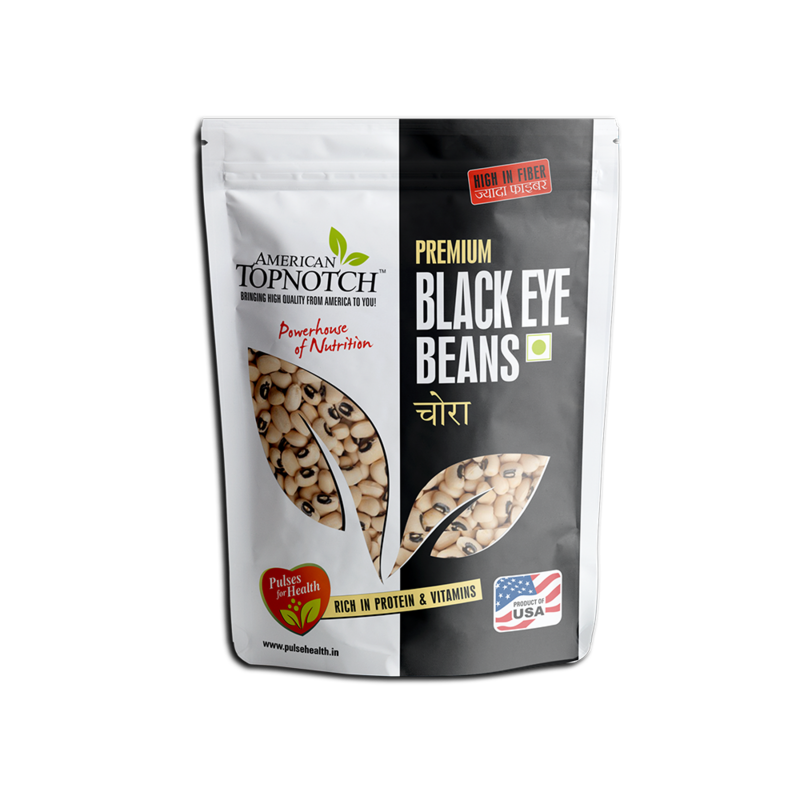 Like its many bean cousins, black-eye beans are full of fiber but no doubt super delicious. Black Eye Beans are a perfect staple to have in your pantry and their taste is wonderful in so many dishes! Also called Cowpea, Black-Eyed Pea, Lobia & Chora. Known to have originated from West Africa. Health Benefits: This SUPERFOOD is packed with protein and fiber, and is a good for weight loss diet. It also keeps cholesterol levels lowered. It is cooked in plenty of ways in Asia and elsewhere. For instance in Vietnam to make a dessert called Che Dau Trang, in Trinidad & Tobago to make beans & rice. In India, similar to other dal preparations. Pure & Nutritious Pulses in environmental friendly recyclable stand up pouch providing food safe environment. These powerhouse protein packed beans allow us to make Chole Bhature dishes, Punjabi Chole Dishes, Falafel, & many Garbanzo Bean recipes, Chili, Salads and more! Also known as Bengal grams, Kabuli Chana, Chhole Chana and Garbanzo beans. One the most ANCIENT SUPERFOOD whose 7500-year-old remains have been found in the Middle East. Health Benefits: Anti-inflammatory, contains folate, molybdenum, manganese, copper, fiber, protein, iron and zinc. Easy to cook & very versatile. Add them in your salads, dips, soup, prepare Humus or make the traditional Indian dish ‘Chhole Chana’. 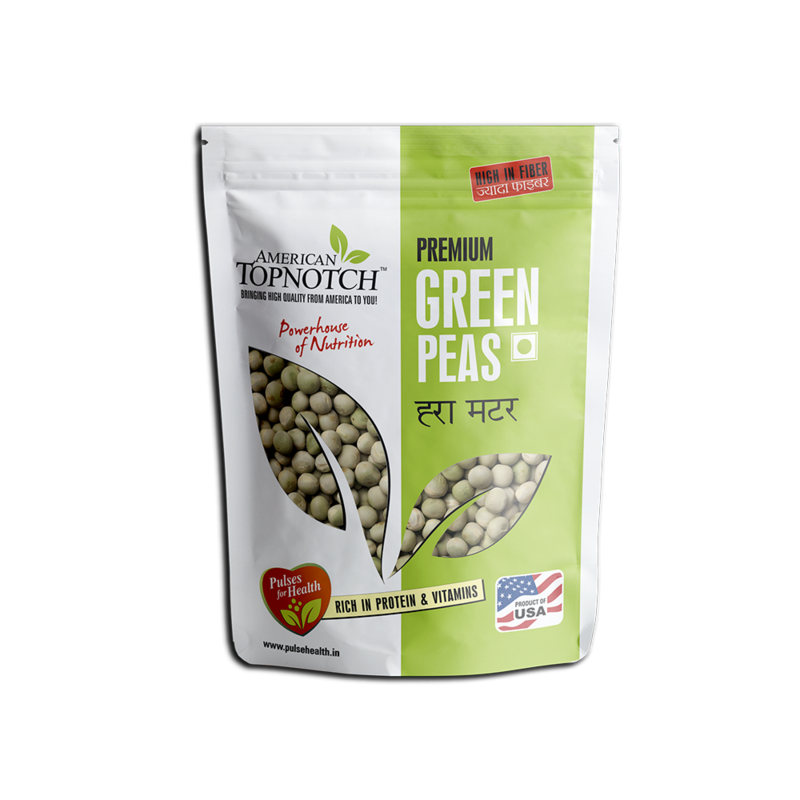 Our Pure & Nutritious dried Green Peas are the best for your every day as well as special preparations! A natural Superfood! Cook some delicious Matar Paneer or hot Samosas with it. A perfect substitute to fresh peas. Available any time of the year. Consumed since prehistoric times with fossilized remains being found at archaeological sites in Swiss lake villages. Health Benefits: This SUPERFOOD is an excellent source of molybdenum, good source of dietary fiber, manganese, copper, protein, folate, vitamin B1, phosphorus, vitamin B5 and potassium, all with virtually no fat. Cook some delicious Matar Paneer or hot Samosas with it or Dried Green Peas Curry served with plain steamed rice & roti / paratha. The Dark Red Kidney Beans are not only a good source of several vitamins and minerals but even help fight cancer, heart disease, etc. From spicy Mexican dishes to Rajma Chawal, our Red kidney beans are sure to make you awe! Pure & Nutritious Pulses for your kitchen allowing you to provide uniform and unique Peas, Lentils or Beans for your every day preparations!